Telkom has begun setting up a fibre loop for the city of Mombasa to meet growing demand for faster data by its business and individual customers. South Africa has a great opportunity to get it right and make oil-and-gas work for everyone. 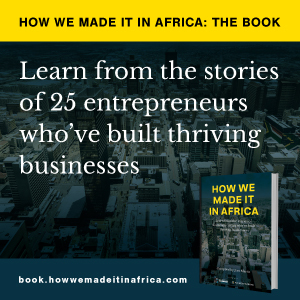 SMEs account for 80% of Africa’s workforce, so their success is critical to Africa’s economic growth. Packaging solutions need to be both attractive and practical, with cost remaining an important consideration. The State Department of ICT, Telkom Kenya and its “DARE 1” (Djibouti African Regional Express) partners have concluded the first raft of commercial negotiations in Djibouti, paving way for the manufacturing process and associated material. The bridal business across Africa is thriving, providing business opportunities for many entrepreneurs. Policy debates in South Africa’s energy sector are becoming increasingly polarised, but it is critical to ensure broad participation if we want to re-imagine the energy sector and solve the country’s energy crisis. Leading decision-makers from industry, finance and politics, will come from more than 70 countries to discuss regional integration along with other key topics for the development of Africa’s businesses. The European Foundation for Management Development re-awarded its European Quality Improvement System to the UCT GSB. The expansion of the Centurion team comes at a strategic time for the pan-African legal conglomerate as it rolls out the first Africa-wide flexible legal services mode, CenturionPlus.